I’m behind in blogging about the books I’ve read lately (with the exception of yesterday’s Bookanista Recommendation), but I’ve got a few fantastic novels I want to tell you about and the best way to do that is with some mini reviews. Below you’ll find my brief opinion on some contemporaries (because they’re my great love), and some dystopians (because, well, they’re everywhere!). Cracked Up to Be by Courtney Summers – Oh, man… Courtney Summers never fails to blow my mind with her gorgeous prose and unflinching storytelling. Parker is one of the least likable main characters I’ve encountered, yet I was rooting for her. Plus, the boys in this book are all kinds of awesome, and the high school setting is totally believable. 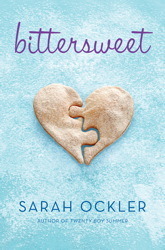 Bittersweet by Sarah Ockler – Cute, cute, cute. Main character Hudson’s voice rocks, and I loved this wintry world of diners and cupcakes and hot hockey boys. Twenty Boy Summer remains my favorite of Sarah Ockler’s books, but Bittersweet was a very satisfying read. 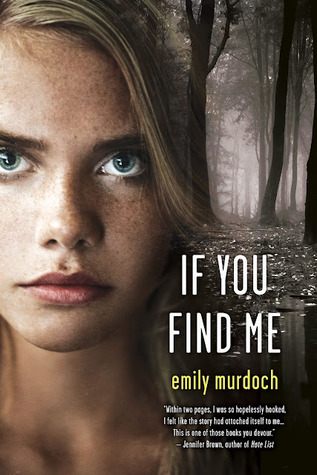 If You Find Me by Emily Murdoch – This one doesn’t come out until March of next year, but I scored an ARC (signed!) and I’m so very thankful. If You Find Me is gorgeous and heartbreaking, tragic and uplifting all at once. Emily Murdoch’s writing is beautiful, and I fell in love with main character Carey on page, oh… two? She’s sweet and strong and so very loyal. Please mark this one as To-Read, and watch for it next year! 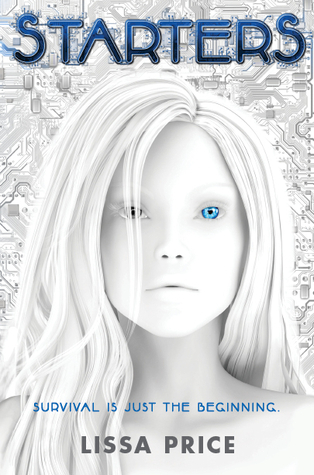 Starters by Lissa Price – While this book’s world certainly requires some suspension of belief, it’s one of the stronger dystopians I’ve read this year. I’m a fan of main character Callie, the pace was fast, and the writing was spare and competent. The action-packed climax had me wanting to just finish already! Saving June by Hanna Harrington – I adored this book — it’s a new favorite! It’s a mash-up of Jandy Nelson’s lovely prose and Courtney Summers’ s bold storytelling, all wrapped up in an epic road trip. And the boy… Jake. He totally made me swoon. If all that isn’t enough, the songs that are a part of the various mixed CDs mentioned throughout the story are compiled into playlists at the end. I want to download them all and relive the book while I listen! 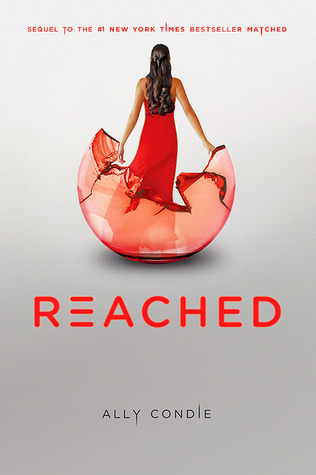 Reached by Ally Condie – I’ve been waiting a long time to know the end of Cassia, Xander, and Ky’s story. I’m a big fan of Ally Condie’s writing. She’s a master at seamlessly embedding symbols and motifs, and her prose is enviable. I found the development and arcs of the three main characters believable, and I thought this final installment of the trilogy a compelling conclusion. So, what’s the best book you’ve read lately? Cracked Up To Be sounds great, I really must read a book by Miss. Summers and soon! I really liked Twenty Boy Summer but struggled through Bittersweet. If You Find Me sounds amazing, can’t wait to read it! Saving June IS amazing, right? Hannah Harrington is such an awesome writer and I hope you get round to reading Speechless soon as that too is amazing! I’m so glad to have found another SAVING JUNE fan! It’s become my mission to get as many people to read that novel as possible. I LOVED it! And yes, do read Courtney Summers soon. She’s one of my favorite contemp authors… So, so good! Ahh, how have I still not read a book by Courtney Summers? I keep hearing such awesome things. These all sound so good…but I’m trying to be disciplined about just reading what’s on my TBR shelf right now! I’m currently in the middle of ADAPTATION by Malinda Lo–it is so. weird. In a really fascinating, page-turning kind of way. I haven’t read fiction by Malinda Lo, but I just started reading her blog and her posts are excellent. I’m already a fan of hers! And yes, please read Courtney Summers soon. She’s one of the first contemp authors who showed me just how far you can push boundaries in YA. She writes amazingly! I didn’t know Reached was out yet. I’m not devoted to the series, but I would like to get some closure, so I’ll have to see if my library has it/is getting it. Thanks for the info! If You Find Me is one I’m looking forward to reading in 2013! I have read SO many good books lately – I finished The Sky is Everywhere last night (I know, I know, why did I wait so long to read it???) and also Wanderlove recently. Saving June is on the top of my list to read soon. THE SKY IS EVERYWHERE is among my top five favorite contemps EVER! If you liked it and WANDERLOVE (which I thought was gorgeous) you’ll most definitely enjoy SAVING JUNE. It’s fantastic! These look great. Thanks for the suggestions. Anytime. 🙂 You’ll have to let me know what you think if you get around to reading any of these, Kirsten! Oh, I want to read BITTERSWEET so badly. I just finished CATCHING JORDAN and despite not being a football person in the slightest–I loved it. Great characters, great romantic comedy. I liked CATCHING JORDAN as well. I’d really like to read STEALING PARKER. I’ve heard it’s fantastic! Love, love, LOVE all of Courtney Summers books!!! I can’t wait to get my hands on ALL THE RAGE, even though it’s now been pushed out to a 2014 release. And of course, I’m a big fan of Sarah Ockler’s – and definitely looking forward to reading THE BOOK OF BROKEN HEARTS in a few months! So many great reads, Katy – and a few I need to add to my TBR list asap! Let’s see, just finished reading ACROSS THE UNIVERSE (and am about halfway through the second book), almost finished with THE PERKS OF BEING A WALLFLOWER, and am a handful of pages short of completing REGINE’S BOOK: A TEEN GIRL’S LAST WORDS (check out my website today to win a copy – it’s hands down, one of the hardest reads I’ve ever done). Up next: DAYS OF BLOOD AND STARLIGHT and I can’t wait!! Happy Friday, Katy – congrats again on the great news this week! Hope you have a good weekend. DAYS OF BLOOD AND STARLIGHT is next for me too, Erin! And I’ll definitely check out your giveaway. I appreciate a tough read, and REGINE sounds very intriguing! I have If You Find Me, too. One of the girls in teen book club at my library read it first, and gave it 5 stars, so now that I am hearing more good things about it, I’m excited to read myself. I have Starters, too, but haven’t gotten around to reading it. There are so many dystopias out there, it’s been hard to get to them all! I need to read some Sarah Ockler, too! The best contemporary I’ve read lately has been PERSONAL EFFECTS by EM Kokie. A very moving story about a boy whose brother died in Iraq and what he discovers in his letters that he never knew about him. Great guy voice. And I loved DAYS OF BLOOD AND STARLIGHT! I’ve heard that PERSONAL EFFECTS is excellent. I’ll definitely add it to my list. And yes, IF YOU FIND me is amazing. I can’t wait for its official release so everyone can read and love it! Have a great weekend, Katy! I’ve heard that THE NIGHT CIRCUS is amazing. I definitely need to read that one. BEFORE I FALL is my one of my favorites. Lauren Oliver is amazing. I’ll read anything she writes! You’ve got me sold on Courtney Summers. I plan on picking up something of hers next week. I haven’t read ANY of these books (I know, shame on me), but I have read another Courtney Summers book, and you’re right – she’s effing brilliant. Yes, THIS IS NOT A TEST, right, Matt? I LOVED that one, just as I love all her work. She’s a genius when it comes to pulling off the complicated, unlikable narrator! Yay for mini-reviews! They’re awesome. Glad to hear Reached was a satisfying conclusion. I really liked Matched (though I thought I wouldn’t), but I haven’t gotten around to reading Crossed yet! But I’m looking forward to reading that and Reached! The best book I’ve read lately – there’s so many from the past month that were great. I still can’t stop thinking about (or reccing) Code Name Verity, even though I read that over a month ago. In November, I really liked The Raven Boys, Wonder (MG book), and Vessel, which I just finished. Vessel was a gripping YA fantasy set in a bleakly beautiful desert world rich with mythology! Loved loved loved CRACKED UP TO BE. Loved it 😀 I enjoyed BITTERSWEET (and need to read TWENTY BOYS SUMMER). 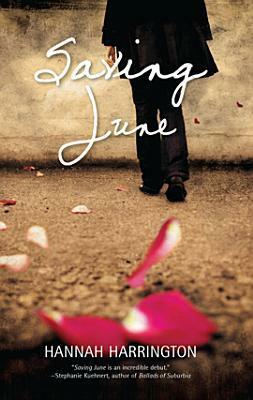 I have SAVING JUNE on my Kindle but I haven´t started it yet. I need to put it on top of my TBR: If it´s one of your favorite reads of 2012, it means I´m probably going to love it. I also scored an e-arc of IF YOU FIND ME, and I´m planning on digging into it very soon. Oh, yes! Read SAVING JUNE as soon as you can… Loved it! Same with IF YOU FIND ME. It’s amazing!